Smiling is one of the best ways to instantly improve our appearance. When we smile, people around us also respond more positively and often times, they also smile back. This is why it is important that we take care of our smiles. Having sparkly white teeth brings about improved self-confidence and gives a perception of good oral hygiene. Teeth stains are a common dental problem. 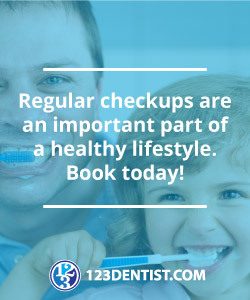 Apart from having a negative impact on our physical appearance, if we don’t take care of our smile, it can also be quite expensive to have it extensively repaired. So here are a few tips for a naturally white smile. First and foremost, you have to remember that there are certain food items that can actually stain your teeth. Avoid or lessen your consumption of coffee or caramel-colored carbonated drinks. To minimize these liquids’ interaction with your teeth, best to drink using a straw if you cannot go a day without coffee. On the other hand, there are also other food items that help keep your naturally white smile. Eat an apple after your meal. Every time you bite into the fruit, this acts like a natural brush for our teeth. Carrots also work just as well! Another good tip for a naturally white smile is to gargle with a small cup of water that has some apple cider vinegar and lemon juice. The vitamin C from the lemon juice will rinse away the plaque buildup and the malic acid in the apple cider vinegar will help whiten the teeth. Gargle with this mixture for 30 seconds to a minute and spit out the mixture. Make sure not to gargle for too long as there’s a chance that the acids may start to remove the teeth’s natural protection. There are many simple and common ways you can naturally whiten your teeth, but if you’re simply not satisfied with the colour of your teeth, contact Greenline Dental Centre for professional whitening kits or in-office whitening.